►Tadelakt Plaster ~ Waterproofing Cob!! This is a practical hands-on workshop designed for those who want more than just theory and observation.‘Learn by Doing’ is coupled with complete instructional segments and ample opportunity for practice. While there are volumes written about soil tests, nothing beats getting your hands in the mud to get the feel of it. To check quality and quantity of clay, we will conduct the snake test, a cut test, and a shake test. 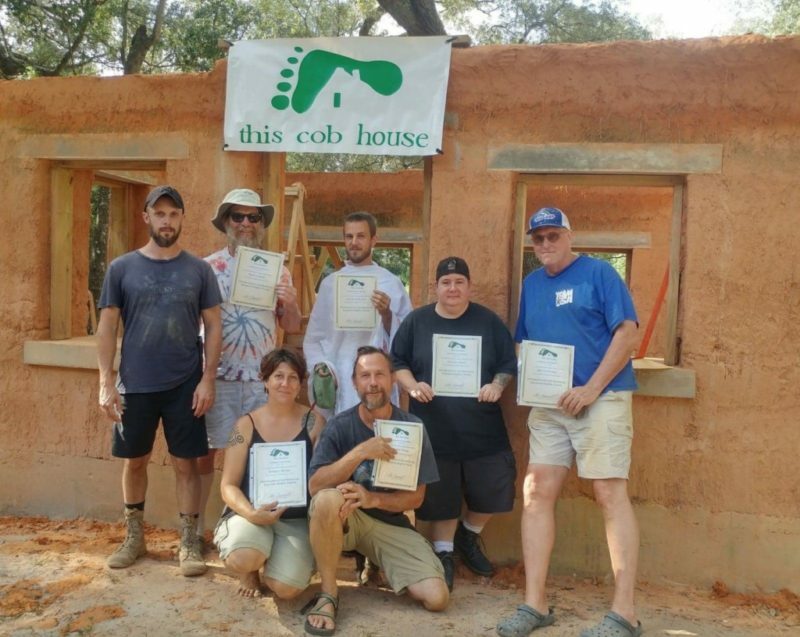 You will ‘Learn by Doing,’ and go home with confidence, after mixing a number of recipes’ to create test cob bricks. 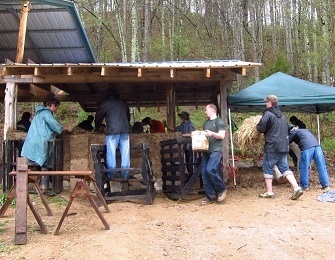 Based on our soil tests, we will choose materials, clay soil, sand and straw, and mix cob using the tarp mixing method. You will ‘Learn by Doing,’ and discover by feel what is right amount of time to mix the recipe’ dry, when to add water and how much, what is the correct texture to call it finished, and how much is enough or too much straw. 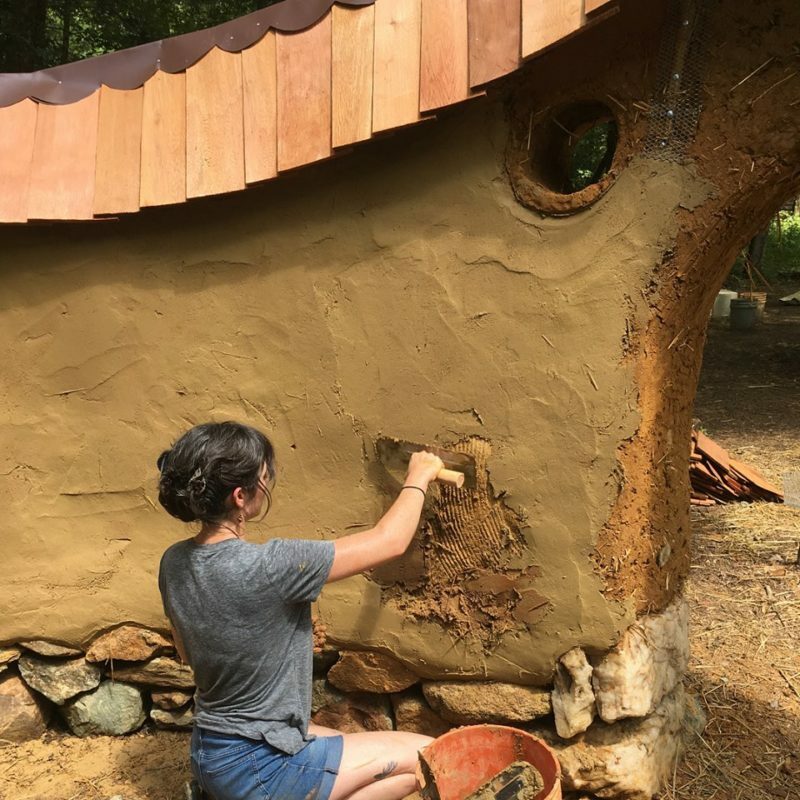 We will consider the advantages and challenges of using lime, and learn how to prepare a cob wall to receive a lime plaster. We will also consider and discuss what is an appropriate application for using lime. Tadelakt is an ancient, Moroccan method of plastering that is over 4,000 years old. Amazingly, it can be used to waterproof cob, with the cob remaining gas permeable. 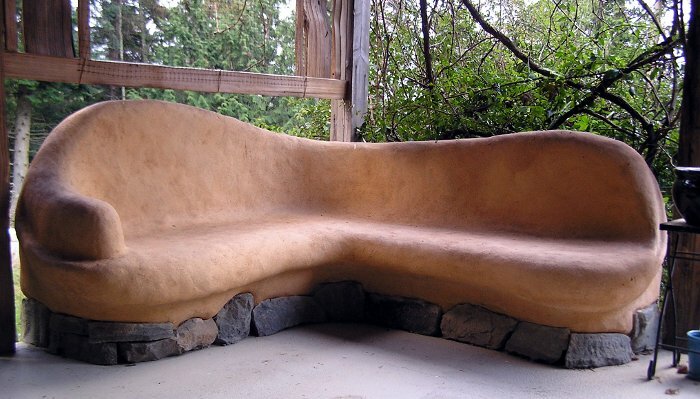 Perfect for waterproofing a tub or hot tub sculpted out of cob ~ exactly what we will be doing! Additionally, we will be adding mineral pigments to the finish coat to create brilliant colors.